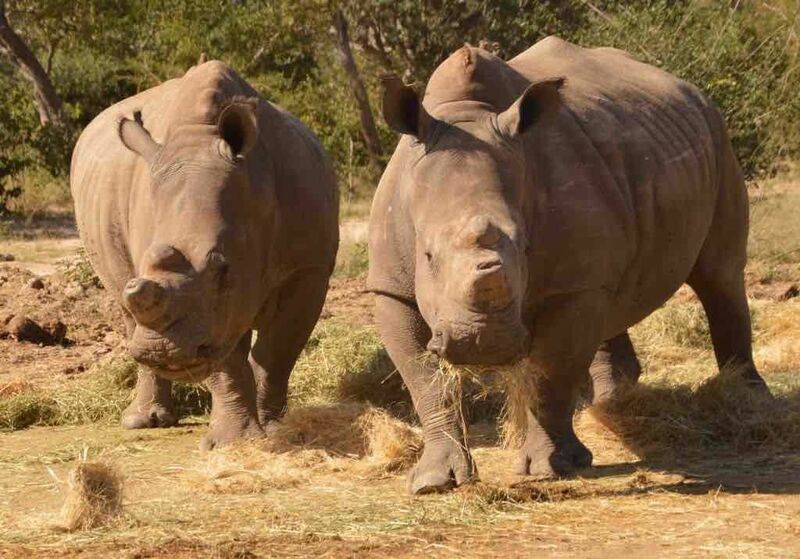 Five years after two rhinos survived a vicious poaching attack that left them severely injured and a bull dead, they have been returned to the wild. 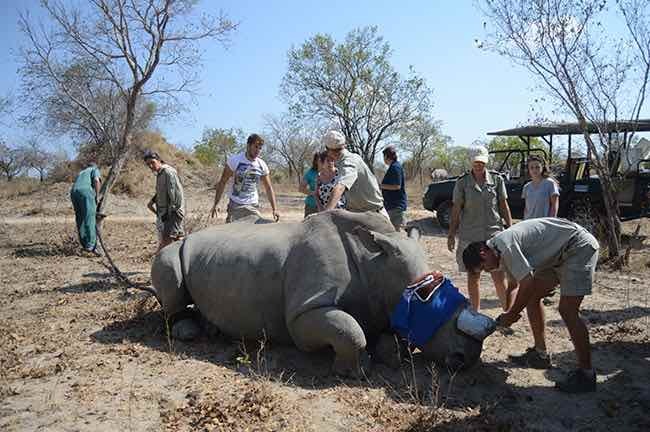 Fully rehabilitated, but dehorned to deter further poaching attacks, they are living testimony of the rehabilitation work the Hoedspruit Endangered Species Centre (HESC) performs on injured and orphaned animals brought to the Centre. On Monday 3 December, Lion’s Den and Dingle Dell, two white rhinos, were released back into the wild, in an undisclosed location. The two beauties that ran off into their new surroundings yesterday 3rd December, were a a far cry from the animals that arrived at HESC five years ago. 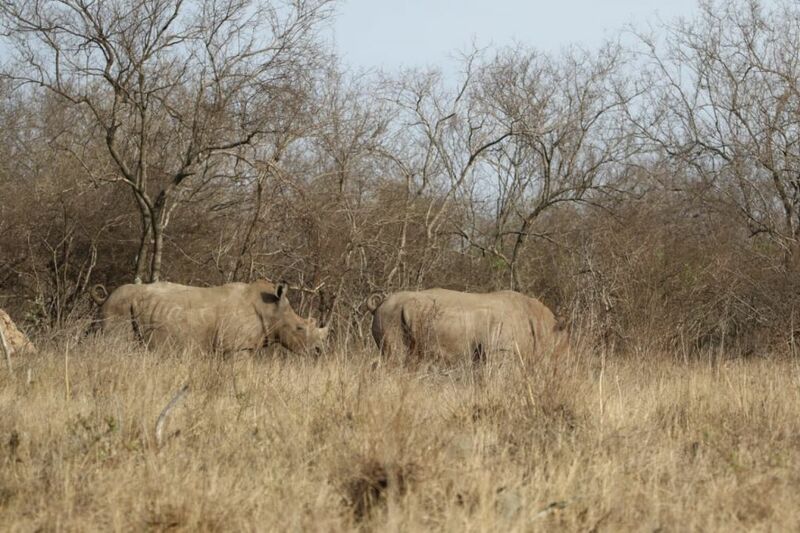 Their horns had been cut off with a chain saw while they were grazing in the reserve on 30 August 2013. The bull died on the scene and the two cows were left with gaping holes and their sinus cavities exposed where their horns had previously defined their iconic appearance. Since named Lion’s Den and Dingle Dell by HESC, the two cows have undergone extensive treatment by a team of specialised wildlife veterinary surgeons. 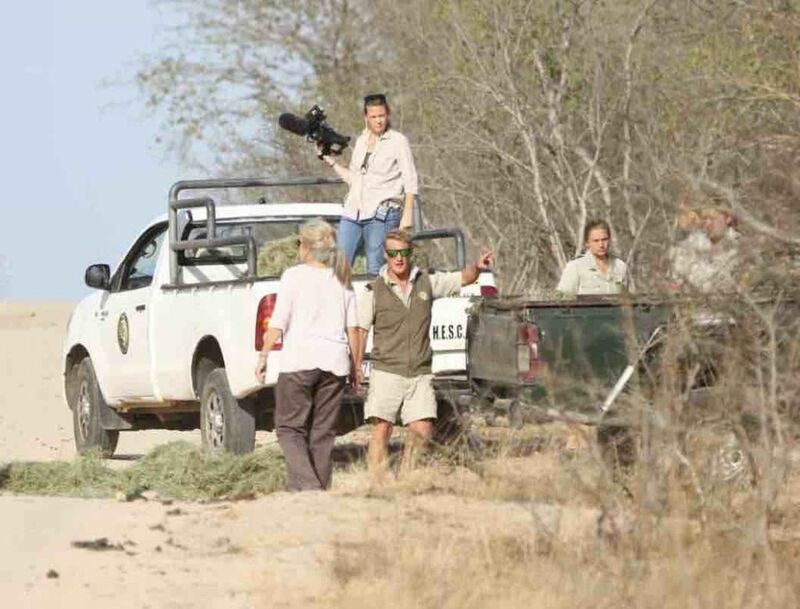 The release of the fully rehabilitated rhinos is in line with the conservation ethos of HESC in terms of which the aim is always to release animals back into the wild, whether born in captivity or rehabilitated after trauma. By releasing the animals, their chance of procreation was greater as there were not suitable sexually mature bulls at HESC. 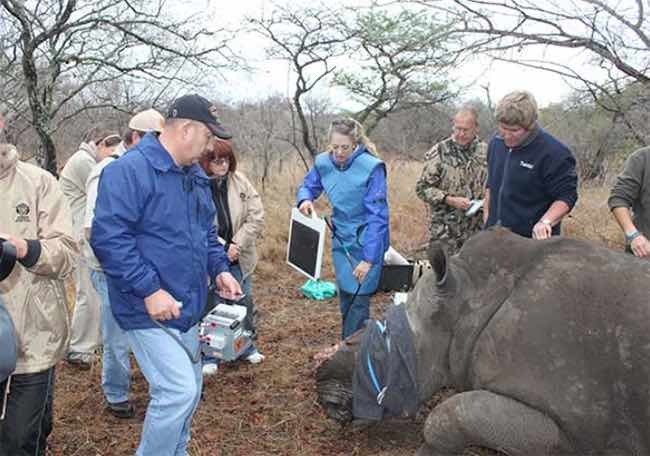 The treatment of the injured Lion’s Den and her calf Dingle Dell at HESC not only saved the animals’ lives, but resulted in a pioneering procedure being developed that would serve as the blueprint for rhino rehabilitation in the future. For every treatment the animals were darted and sedated, the wounds cleaned, blood samples taken to check for infection, blood pressure and temperature measured, antibiotic ointment and dressing applied and a protective cast drilled into place over the wound. Initial treatment entailed cleaning the wounds and closing the cavities with a fibreglass cast that covered the entire nasal area. However, because the casts were a source of irritation to the animals, they were rubbed off. In subsequent treatments a sonar machine was used to locate and remove dead tissue, canals spooled and pens drilled into the bone as a supportive base for an acrylic fixture to close the sinus cavities. When the healing process had progressed sufficiently, skin grafts were harvested and placed in the wounds – a procedure that had never before been performed on rhinos. 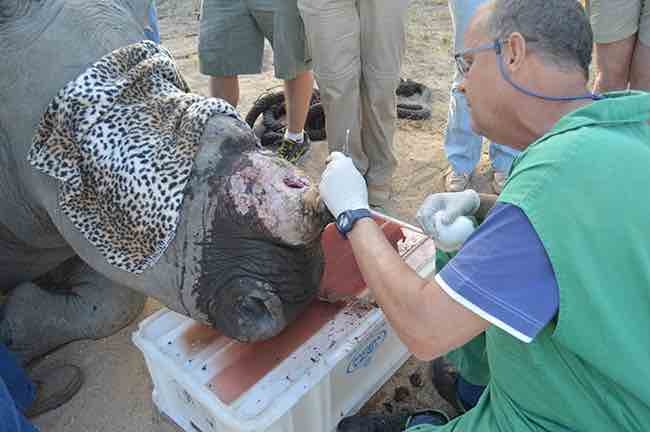 Despite the pioneering work of our specialist veterinarian team, the road to recovery was slow. 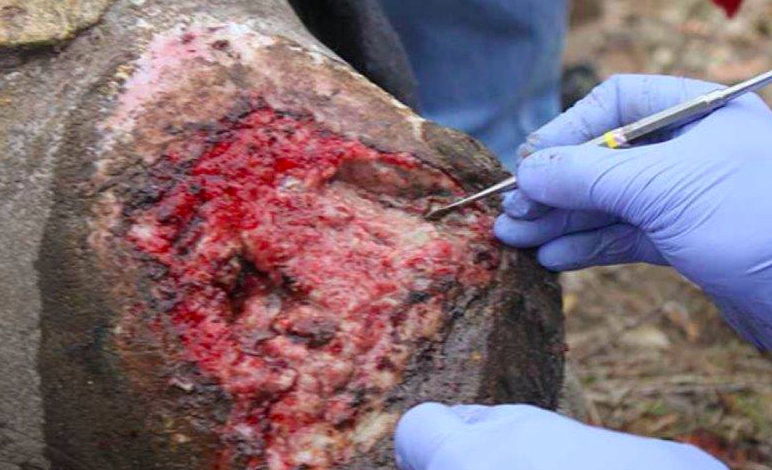 Because the healing process caused the wound to itch and our rhinos to rub off their casts, flies and maggots infested the wounds resulting in repeated infection. A metal plate placed over the cast and fixed in place with pop rivets and screws proved a solution to the problem. On 30 August 2016, three years after the poaching incident, Lion’s Den and Dingle Dell were dehorned to protect them from further poaching. It had taken almost 23 months, 26 treatments and close on 400 screws for Lion’s Den to reach this point. Dingle Dell recovered with fewer treatments. We would like to sincerely thank Dr. Johan Marais (Saving the Survivors), Dr. Peter Rogers, and Dr. Gerhard Steenkamp of the University of Pretoria, for their hard work and dedication through the treatment of them. 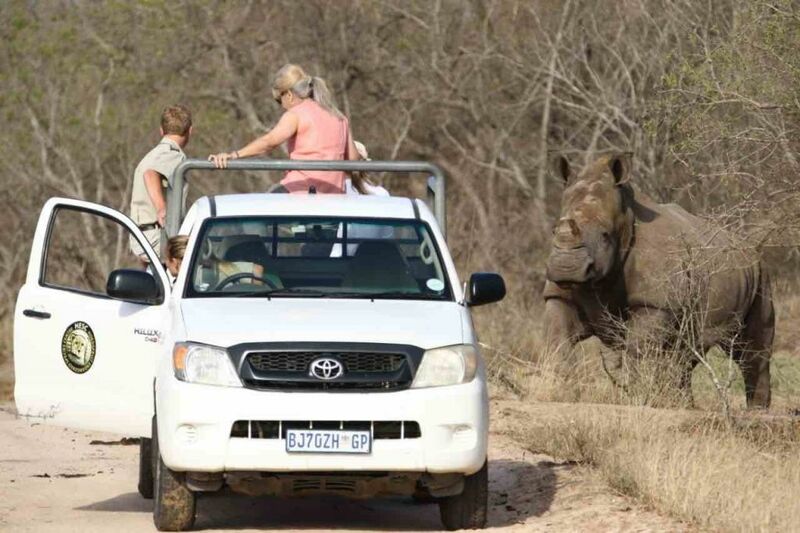 facilitated and conducted by HESC, financing and administration is provided by the Wildlife Conservation Trust (WCT), a public benefit organisation established for this purpose. The WCT manages all donations, sponsorships, fund-raising initiatives and the sourcing of corporate sponsorships on behalf of HESC. 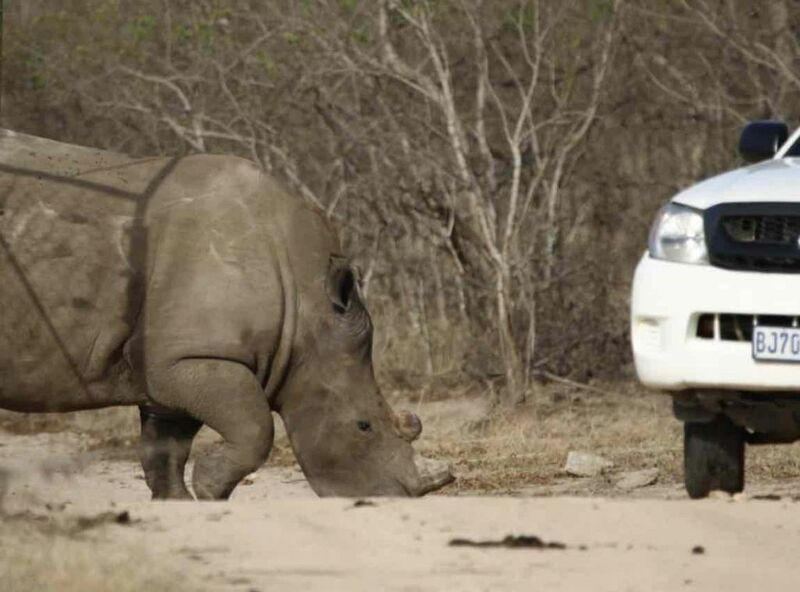 Lente Roode says the biggest challenge in terms of rehabilitating rhinos, besides the costly treatments, is the financial burden of providing security to prevent further poaching atrocities. 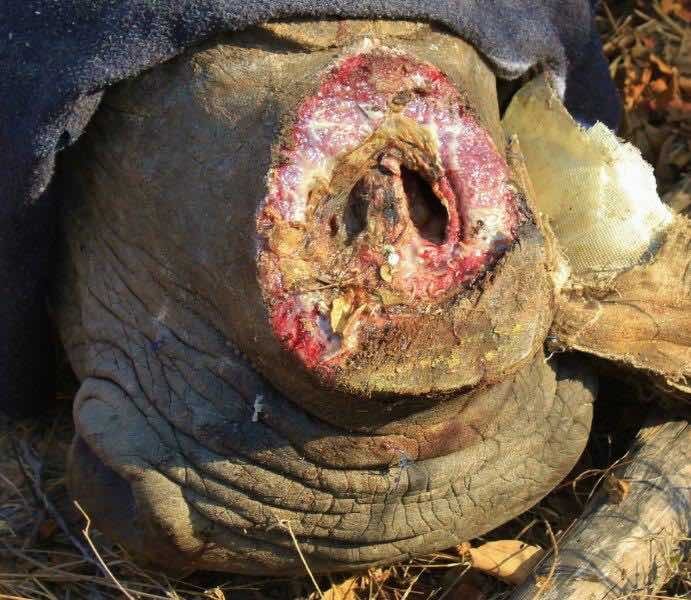 Poaching of rhinos for their horns is escalating worldwide and in South Africa the massacre of these iconic animals remains a constant threat and has reached epidemic levels. No reserve is guaranteed a safe haven. Thank you to everyone that have helped support Lion’s Den and Dingle Dell during the past five years. I absolutely admire people like you and the work you do. Thank you so much Theuns. All you people are the true heroes of our trouble times. I dont have finances to offer but i do have a voice as well as time to assist wherever and whenever possible. Once again i take my hat off and salute you. Thank you Garth… support is not only financial, it is also morale and by spreading the word. Thank you for your kind words. Thank you so much for all you do!!! Incredible work! Thank you Rachel, much appreciated.